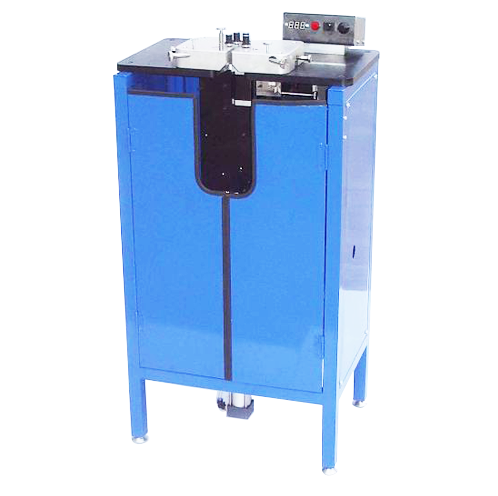 Jovil Universal is proud to present the model PTW-1 Pull Type Toroidal Winding Machine. This machine is equipped with a pneumatic cylinder to pull the wire. The core is rotated automatically with the 4 rubber rollers and there is a foot switch to control the cycles. Professional hook design which does not damage the wire insulator. Using pneumatic cylinder to pull firmly. Pitch can be adjustable when winding. Core is being rotated by 4 rubber rollers.